Whether you are a complete beginner or a seasoned modeller who wants to add electronics to your layout, you are welcome here with us. The Model Electronic Railway group is a mutual help group covering all levels of knowledge and experience. 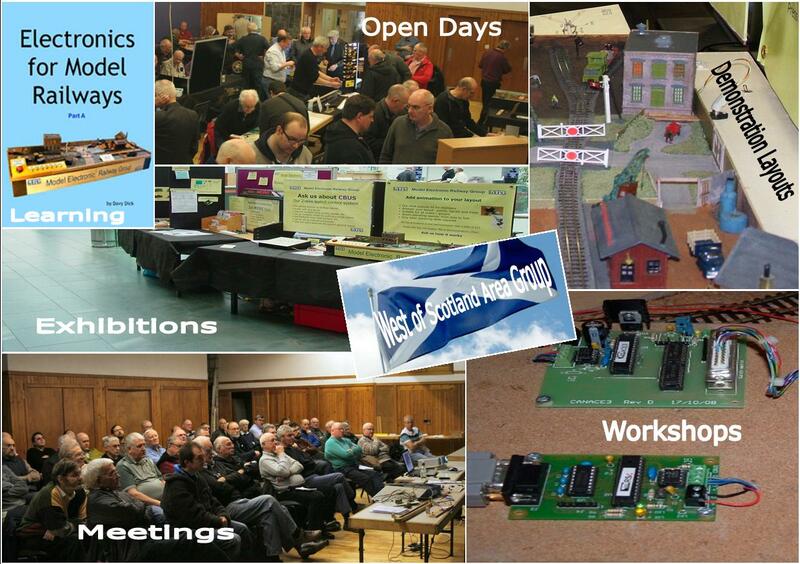 The West of Scotland group is the biggest and most active group in the UK. We have five all-day meetings per year, held on Sundays. The meetings are held in Glasgow. The morning sessions usually demonstrate practical skills and techniques, while the afternoon sessions spend time looking at issues in more depth. A wide range of topics are covered over the year. Meetings are well attended (between 60 and 90) and are lively, good-humoured and interesting. The meetings are also an opportunity to buy kits, tools, etc. at very cheap prices. • Using servos and steppers for points, signals, turntables, etc.